After a prior success last year, Bridestory Fair 2019 is back to bring a real one-stop wedding shopping destinations for couples who are planning their once-in-a-lifetime event. 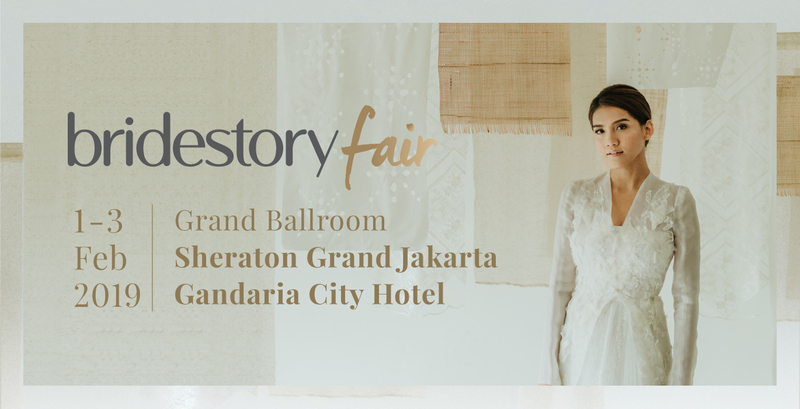 Introducing this year's trend, Modern Heritage, Bridestory Fair 2019 will turn Sheraton Grand Jakarta Gandaria City Hotel into an impressive local heritage-inspired surroundings with a touch of modern aesthetics. Held on February 1 - 3, 100+ vendors from 15+ different categories will be joining to present their best wedding products and services. A new section, The Bridestory Gift Section, will help couples to complete their wedding planning checklist by offering various appreciation choices for the bridesmaids and groomsmen. Couples can also get a chance receiving cashback up to 100% if they make transactions with selected vendors through Bridestory Pay! For more information, visit https://fair.bridestory.com/.